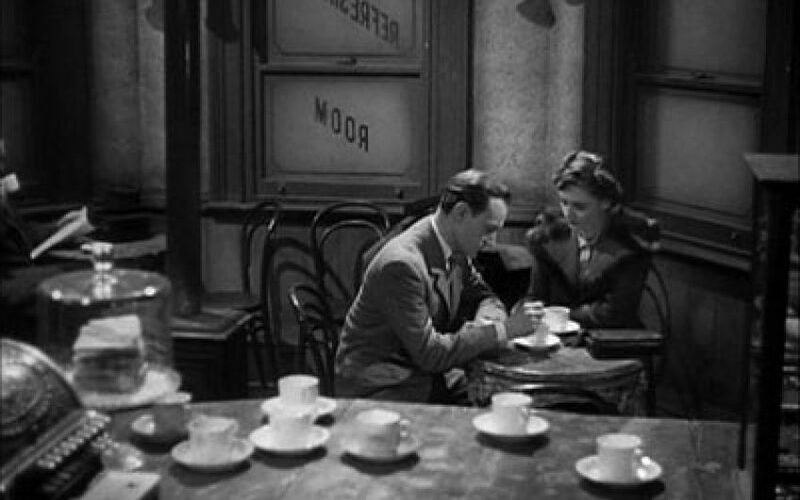 Brief Encounter (pictured) would have been a lot briefer if Celia Johnson and Trevor Howard had picked up a takeaway skinny latte from the Carnforth Station café rather than sitting and talking with each other. But now there are a few signs that, in a small way, we're returning to the days of proper conversation in proper surroundings – with proper cutlery. First, there was the war on pointless plastic straws. Then, this week, Michael Gove announced a new scheme for a returnable deposit on plastic bottles. And now a group called StirCrazy is launching a campaign to get rid of plastic stirrers and spoons. All very admirable on eco-friendly grounds. But also on sociable, civilised grounds. A return to real glasses, china cups and metal teaspoons – and the eradication of babyish straws – is a step away from an always-on-the-move, impatient, fidgeting, childish society to a measured, thoughtful, grown-up one. A throwaway society doesn't just throw away plastic spoons, straws and stirrers; it also throws away good, lingering conversations in surroundings built to attract and enchant drinkers, rather than to alienate them and send them out on the street, discarding their friendships as carelessly as they do their plastic. What serendipity when green measures don't cut back your life by cheese-paring austerity, but rather enhance it through a return to the good old days of sociable, stationary drinking.